Click below for attractions to visit. The Little Red School House is open by Special Tour Request scheduled in advance. 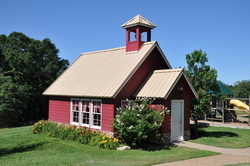 Constructed in 2007 through the generous contribution from the Monkhouse family, the Little Red School House is a replica of an early Texas School House. 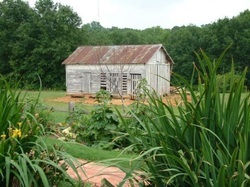 Built in 1850 on the Wofford homestead in east Henderson County, the B.W.J. Wofford home was moved to the Arboretum in 2001. It has been restored as a museum with the help of generous grants from the Cain Foundation, the Hillcrest Foundation and the Texas Historical Foundation, as well as contributions from many friends of the Arboretum. 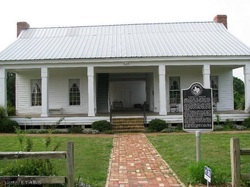 The Wofford House, which is listed on the National Register of Historic Buildings, is built in the Texas DogTrot architectural style. The Arboretum Trails include over two miles of semi rugged terrain. The Arboretum also contains hundreds of flower and plant species, many native to North East Texas.